Since 1984, Paul has exhibited at the Whitechapel Open, Royal Birmingham Society of Artists, Mall Galleries and Royal Academy. His first one-man show was at the Dive Gallery in Muswell Hill. His work is mostly in private collections in Europe, USA and Australia. He lives in London. Richard Dorment, art critic for the Daily Telegraph, reviewed the Royal Academy Summer exhibition in June 1992 and commented about Seaton’s work: "This year I found only a few paintings that really made the heart leap, and there was something fresh and observed about a little still life by Paul Raymond Seaton." Paul Raymond Seaton continues to this day to paint flower still lifes of the finest quality which are classically inspired and distinctly representational in detail. As with our example there is an impressionistically inspired focus on a play of light that coupled with the softly modulated background pattern create a glowing atmospheric feel. The depiction of roses in the glass vase, though clearly representational, is not entirely realistic but rather mood-inspired in the fashion of a work by the great French still life painter Henri Fantin-Latour. 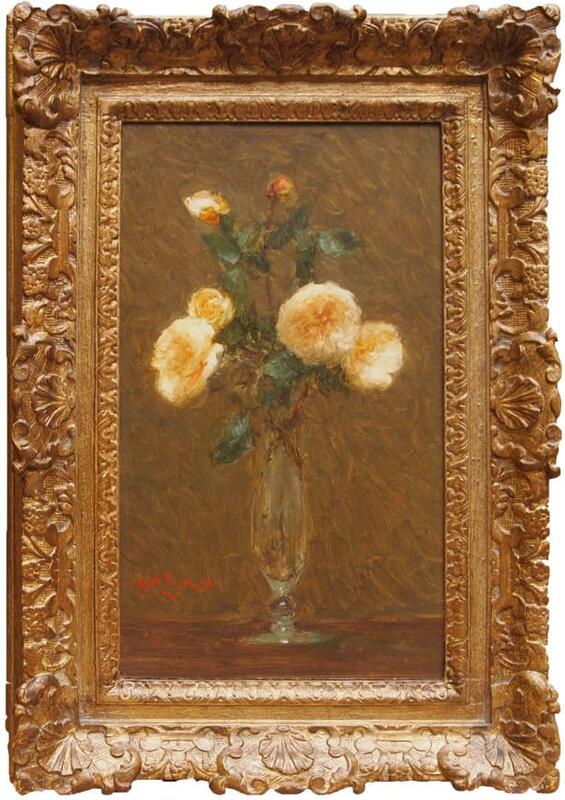 The delicacy of the rendering in Roses in Glass Vase lends itself to the overall romanticism of the piece. 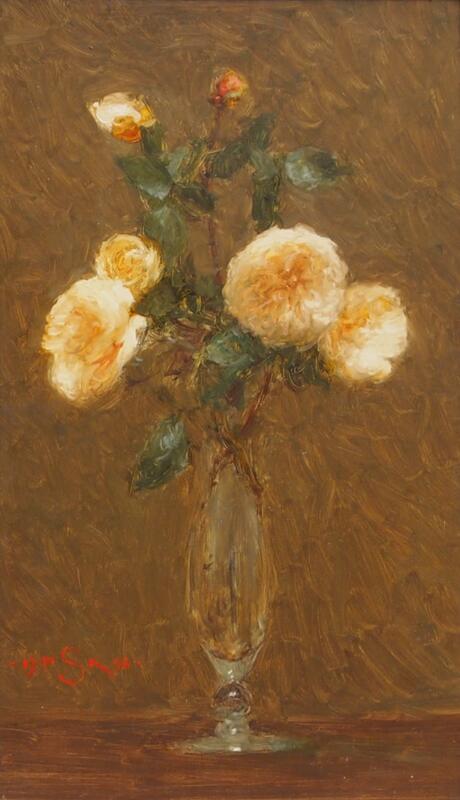 Seaton's paintings are found primarily in private collections in Europe.